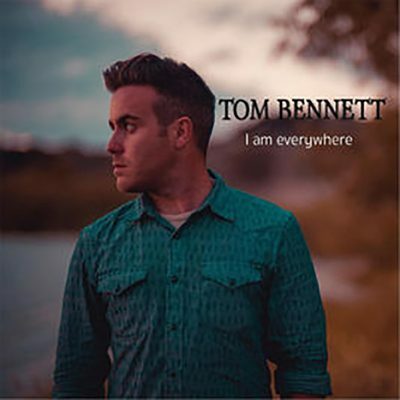 Georgian gone West Tom Bennett is a folk singer whose 2017 three-track EP is titled I Am Everywhere. This is Bennett’s third EP, and while short in length, each song is soulfully folk and filled with instrumental depth and thrill. The EP opens with “Show Me The Exit Sign,” which is a quick-rhythm song rooted in classic folk elements. Bennett sets the bar high as a one-man band, opening with strums and slides on the dobro, which only briefly stands alone before the wailing harmonica comes driving in. Bennett kicks up the dirt with gritty vocals, foot drumming and percussions—a beat you can’t help but stamp to. “Where Do You Keep Your Love” is slower and about five and half minutes long. The song begins with foot percussions and is shortly joined by the harmonica, howlin’ the blues. The harmonica often takes the place of vocals, trading off to accompany the strumming dobro and frequent slides and dramatic starts and stops. Bennett manages to deliver a classic cowboy song without total sadness and despair, but instead, just the good, ol’-fashioned blues.